Solar PV, or “solar photovoltaics,” are the right choice for most homeowners. This blog is into all kinds of solar energy, but there’s no doubt which is our favorite. 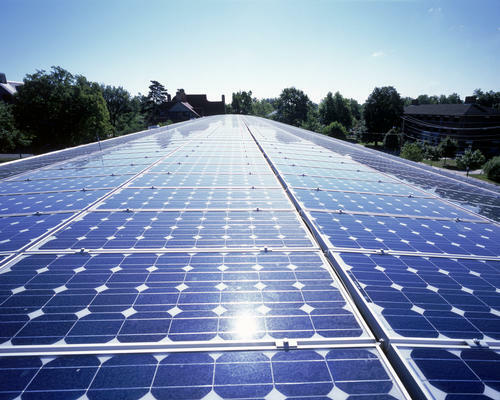 Photovoltaics are yet another useful feature of semiconductors. Semiconducting materials, including silicon, gallium and germanium, all conduct electricity — but only under specific conditions. All semiconductors belong to one of two types: P and N. P-type semiconductors tend to pick up a small positive charge, and N-type ones a negative. So, how do you use that to generate power? Easy — you build solar cells. 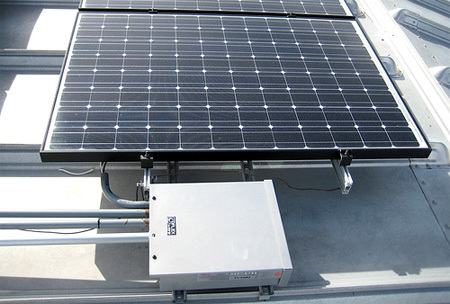 The basic working unit of a PV panel is a solar cell. Hundreds of cells are needed to make up each panel. Each cell is a sandwich of two semiconductors, one layer of P-type and one layer of N-type. (Top marks if you said “Hey, that looks like a battery.”) You’ll find sandwiches like this in silicon chips, too, but the semiconductors used in solar cells are chosen for their photovoltaic properties — light increases their tendency to acquire a charge. Wire up the two layers, and you can harvest a small electical current off that stream of electrons. Wire up several hundred cells together — which is what you do when you build a panel — and the current starts to be strong enough to be useful. Wire up a few panels together, and you get enough free power to make a difference to your electricity bill. Now, PV certainly isn’t the only solar solution. Homeowners in hot places often choose solar thermal, circulating water over collector plates to heat it for use where it’s needed. And it’s pretty unusual to find a big solar plant using PV — you’re more likely to find some variant on Concentrated Solar Power (CSP), focussing the sun’s rays to power a turbine or such. Maybe you spotted the problem with backyard CSP. (Or maybe you’re good at repairing gas turbines?) Even solar thermal comes with a maintenance overhead — it’s outdoor plumbing, after all. But PV will just sit there, generating useful power, year in, year out. Sure, you have to shell out to cover the roof with PV panels — but that investment will pay for itself in a decade or so. After that, it’s gravy all the way.